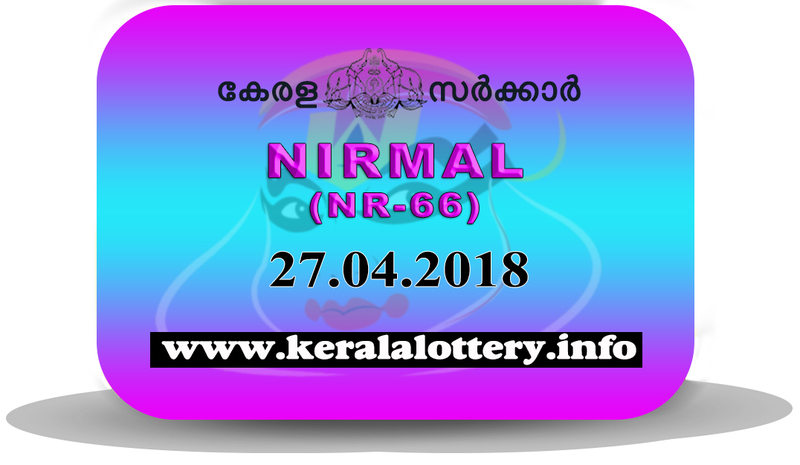 The 65th draw of Kerala lottery nirmal(kerala samsthana bhagyakuri result today) will held on 27.04.2018 at 3 pm through the lotto machine by government officials. The result is not based on any predictions but only based on the machine. 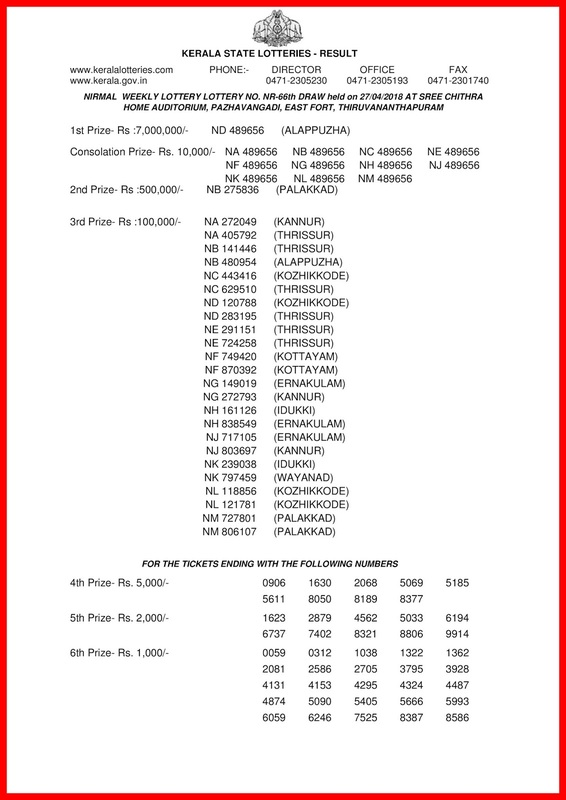 so the government is not responsible for the prediction. 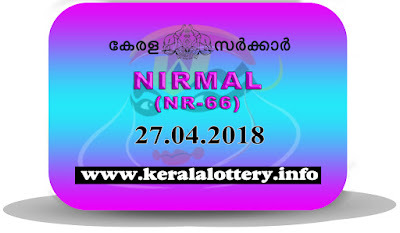 Nirmal nr.66 result will be published at 3.45 pm as same as in the official website. 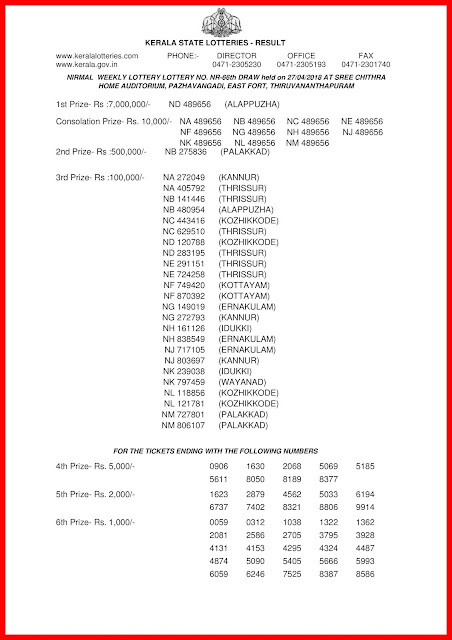 Also there will be a live update for the first prize at 3.05 pm. 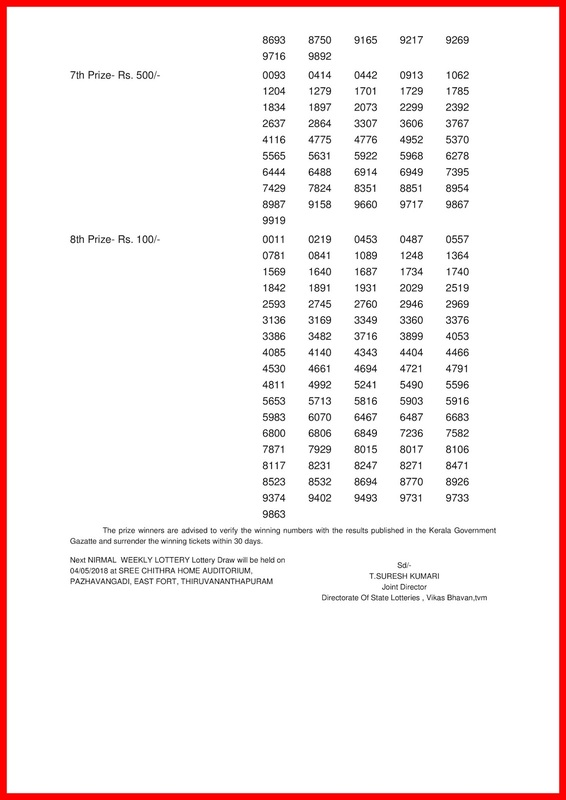 Refer the official site for furher clarification. For instant updates please click on the refresh button.